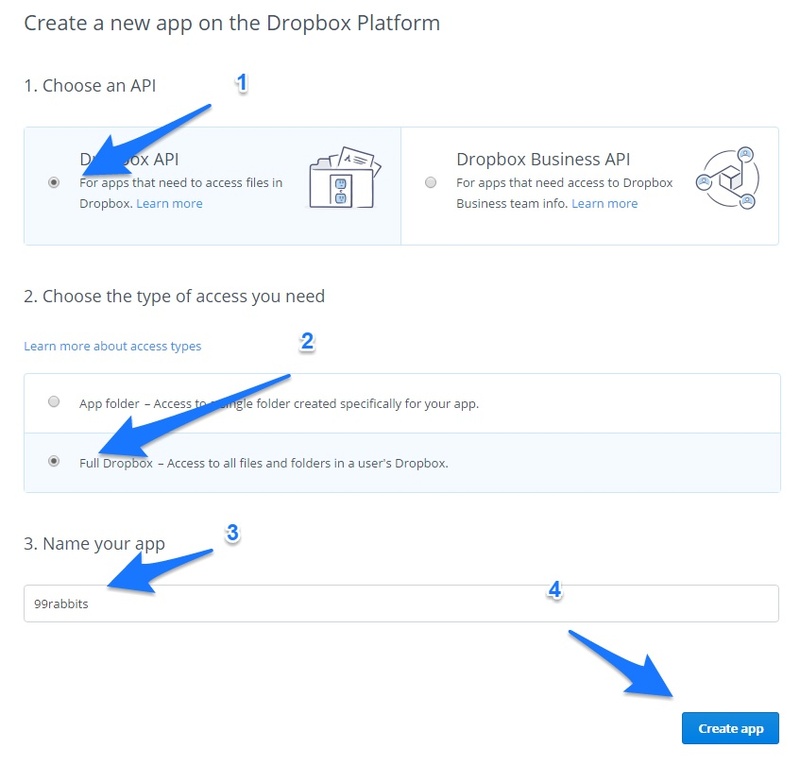 Choose Dropbox API on the first step. Choose Full Dropbox access on the second. Give your app a name. That name will become a folder in your Dropbox account. You’ll be presented with your app’s settings. Scroll down to ‘OAuth 2’ block and hit ‘Generate’ button near ‘Generated access token’ text. This is your Dropbox API access token . You should now hand over this token to your developer. You can get acquainted with the possibilities of Dropbox API using their API explorer. BTW, If you’d like us to create an automation workflow involving Dropbox for you, please drop us a line.